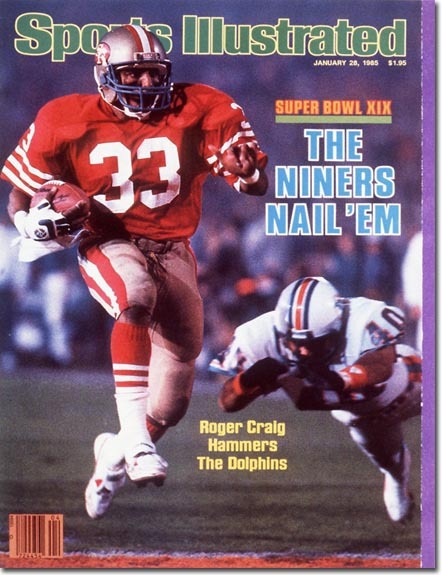 This entry was posted in Players Who Should Be In the Hall of Fame and tagged Bill Walsh, First 1000 /1000 rusher receiver in NFL history, George Seifert, Pro Football Hall of Fame, Roger Craig, San Francisco 49ers, Super Bowl XIX, Super Bowl XXIII. Bookmark the permalink. From Davenport, Iowa to Canton,Ohio…I agree, Very thorough article,This guy was a machine..
No doubt one of the best running backs ever on and off the field. The Hall of Fame would be missing one of the masters of the game without him. 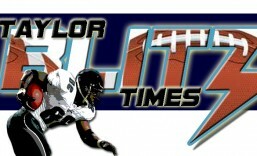 Absolutely…how can the story of the 1980’s 49ers be told without him?? You can’t tell the story of the 50s Browns without Marion Motley and Jim Brown. You can’t tell the story of the Packers of the 1960s without Paul Hornung and Jim Taylor. You can’t tell the story of the 1970’s Steelers without Franco Harris. 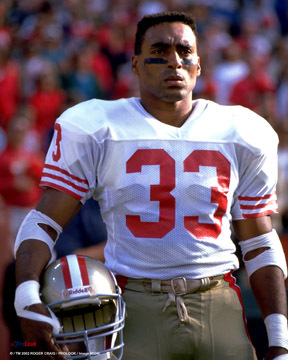 And you can’t tell the story of the 1980’s 49ers without Roger Craig. It’s not possible.